Economic development and protection of the environment should go in tandem to ensure sustainable development, President Abdulla Yameen has said. In a message on the occasion of World Environment Day, President Yameen said the Maldives’ environment and ecosystems have been adversely affected by some development efforts. “Therefore, we have to pay more attention to this. And we have to ensure that development and protection and sustenance of the environment go together. That is how sustainable development can be achieved,” he said. The current administration has come under fire from local environmental groups following environmental damage caused by a US$37 million four-island reclamation project carried out by Royal Boskalis Westminster. 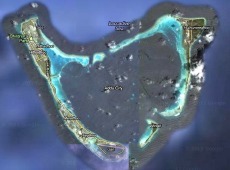 The Netherlands-based maritime infrastructure company was accused of mining sand from the country’s only UNESCO biosphere reserve in Baa Atoll as well as failing to build a barrier to prevent excess dredge soil from spilling onto the reef in Baa Atoll Eydhaushi Island. In the two islands where reclamation was completed, houses and vegetation on the shorelines were also covered in fine mixture of sand and salt due to the use of the “rainbow technique” which propels soil into the air. President Yameen meanwhile referred to the findings of the second working group of the Intergovernmental Panel on Climate Change (IPCC) and called for timely action to address climate change. “The quantity and quality of water resources are being affected. Climate ‎change is negatively impacting crop yields as well. Impacts from recent climate-‎related extremes reveal significant vulnerabilities and expose some ecosystems ‎and many human systems to current climate vulnerability,” Yameen said. Referring to the theme of this year’s Environment Day – “Raise Your ‎Voice, Not the Sea Level” – President Yameen welcomed the special focus ‎which will be afforded to small island nation states such as the Maldives. Yameen also paid tribute to the climate change advocacy efforts of of former President Maumoon Abdul Gayoom, who he said brought the threats posed by sea level rise to global attention in the late 1980s. Foreign Minister Dunya Maumoon also emphasised the need to take concrete action to avert climate catastrophe. A Foreign Ministry press release today said that the minister expressed hope that key international conferences this year would successfully take into account the vulnerability of SIDs. The Third International Conference on Small Island Developing States will be held in Samoa in September, while the negotiations of a new climate treaty at the Meetings of States Parties of the UNFCCC will also take place in 2014, detailed the release. “The minister also reiterated that the Maldives continues to be in the front line while refusing to remain a victim, and have been an agent of change in addressing environmental issues,” it added. In his message, Environment Minister Thoriq Ibrahim meanwhile noted that 23 percent of the Maldives’ GDP was spent on importing fossil fuels and stressed the importance of developing sources of renewable energy. The Environment Ministry commenced its programme to mark the World Environment Day with a tree planting event in front of the Male’ Sports Complex. Other events planned by the ministry include the publication of reports for energy saving in schools, a photography exhibition, a film festival, and a clean up event in Malé. Governance, socio-economic and political issues within the Maldives are reducing the ability of local, atoll and national management to address threats to coral reefs nationwide, according to a recently published study. 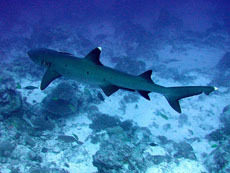 The extent of coral reef recovery following the 1998 and 2010 bleaching incidents was collaboratively studied by Reef Check, the Marine Conservation Society and Biosphere Expeditions, with the results recently published in the expedition report entitled “Little and Large: Surveying and Safeguarding Coral Reefs and Whale Sharks in the Maldives”. “Given the severity of the initial catastrophic bleaching [in 1998], there has been a moderate to good recovery of corals in the central Maldives atolls… [however] most coral communities in the central reefs are still recovering from the massive bleaching event,” the study found. Furthermore, human activities causing local environmental pollution and global climate change impacts are “suppressing recovery” from coral bleaching incidents for reefs nearer to “more heavily populated centres” as well as threatening sustainable “maintenance of the very corals on which the Maldives exist,” the report noted. “[However] the potential for a full recovery of Maldives corals in many sites is good,” it continued. The report identified numerous government and management shortcomings that exacerbate the threats impeding reef recovery in the Maldives, despite ongoing government efforts to establish Marine Protected Areas (MPA) as well as reduce carbon emissions nationally and internationally. Governance problems must be addressed if the Maldives is to achieve UNESCO Biosphere Reserve status for the entire island nation, the study emphasised. Political instability and the recent economic downturn in the Maldives have shifted immediate priorities away from marine conservation, according to the report. “Unfortunately, the monitoring budget for the [Maldives] Marine Research Centre (MRC) appears to have been drastically cut in the recent past, with little information coming out of the MRC in terms of reef conditions,” noted the study. There is also “inadequate investment in enforcing” environmental conservation laws, particularly in MPAs. “Enforcement has been undervalued as a net contributor to the nation’s wealth, because economic returns from such an investment are not easily apparent or quickly attainable,” the study explained. Reefs have been “heavily modified” over the past 30 years – due to the lack of “concurrent precautionary management” – as “resource exploitation has expanded to meet the demands of an increased human / tourist population,” the report added. Education and awareness regarding sustainable reef management is lacking, as balancing environmental resource extraction with protection is not included in the national curriculum, according to the report. Meanwhile, business and tourism remain heavily dependent on a carbon-based economy due to the Maldives’ geographic remoteness, the study noted. Given that the “Maldives’ islands are entirely, naturally made from the fine coral sand washed up onto the very shallowest coral platforms, with the highest point reaching approximately 2.4 meters above sea level” the study emphasised the importance of correcting these governance issues for reef protection. Coral reefs play an unrivalled role in the Maldivian culture, lifestyle, and for fisheries relative to most other Indian Ocean states, in addition to supporting an expanding tourism and recreation industry, noted the study. Human activities such as “tourism, reef fishing, coral mining, dredging, reclamation and the construction of maritime structures and pollution represent most impacts on coral reefs,” the study identified. Overfishing of keystone species that are important for keeping reef predators in check, as well as inappropriate atoll development, sedimentation, and pollution were also identified as key threats. Climate change induced impacts including sea surface temperature increases and seawater acidification from increasing concentrations of atmospheric carbon dioxide are, respectively, leading to coral bleaching as well as decreased coral skeletal strength, growth rates, and reproductive outputs. Carbon dioxide levels in the atmosphere need to be reduced to less than 350 parts per million, the report noted. The mutually reinforcing combination of these threats will have “detrimental consequences” for the Maldives unless national and local government, tourism, and local island groups manage the local and global impacts threatening reefs, the report emphasised. “Only with the development of capacity-building, training and resources committed to conservation at the local atoll and island level will mitigating measures be implemented,” stated the study. Proactive island level sustainable environmental management is essential for coral reef health and recovery from previous “catastrophic, massive bleaching”, the report recommended. This includes establishing and promoting sustainable fisheries that protect species from overfishing, including enforcing and expanding “no-take zones” for one in every three reefs, particularly around grouper spawning locations. 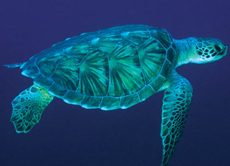 “Pollution must [also] be tackled” to prevent algal growth, which harms reef health. Vice President Mohamed Waheed Deen has lambasted the country’s current presidential candidates for resorting to a “divide and rule policy” to stay in power, rather than focusing on issues such as “population consolidation” which he claimed would help sustainable development. Speaking on May 13 during the launch of the UN’s 2013 human development report, Deen argued that it was extremely difficult for presidential candidates to discuss relocating and consolidating island populations due to fears “islanders will be angry”. However, the vice president said he believed there were ulterior motives to avoid addressing population consolidation – the practice of relocating geographically isolated, small island communities to larger landmasses. “The other reason – which is worse – is the divide and rule policy that has been in the Maldives for hundreds of years. I hope those who are going to be on the list of presidential candidates, and politicians, will seriously think about the development of this nation and not be thinking ‘how long can I stay in power?’,” he told Minivan News. Vice President Deen highlighted a number of development issues and interrelated democratisation challenges he believed were vital to development, during his speech at Sunday’s UN report launch. These issues included included the need for improving freedom of expression and democratic education to reduce inequalities. Deen emphasised “population consolidation” as an important way of ensuring this. “Unless populations are consolidated, economically viable solutions – healthcare, education and other services and facilities – required for development cannot be sustained,” he added. Deen claimed there were also numerous economic and social service benefits that would come from relocating people living on small islands, whom he said faced “lots of difficulties” due to limited healthcare and educational opportunities. Restricted transportation options were another concern he identified. Voter buy-offs, other corrupt practices, political polarisation and a lack of civil education were identified by Transparency Maldives, the Elections Commission of the Maldives (ECM), and the Elections Commission of India (ECI) as threatening free and fair democratic elections from taking place in September. Additionally, the International Federation for Human Rights (FIDH) and the Maldivian Democracy Network (MDN) released a joint human rights brief this April accusing the Maldivian government of failing to create conditions conducive to free and fair elections. Population consolidation is a controversial issue for many islanders, given the unique cultural characteristics and strong inter-relationships each island community in the Maldives possesses. 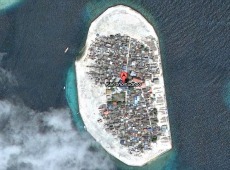 The displacement and subsequent relocation of the entire Kan’dholhudhoo Island community in Raa Atoll following the 2004 tsunami is one example of the development challenges posed by relocating entire island communities. “The community is still suffering tremendously,” Island Council Vice President Amir Ahmed told Minivan News. 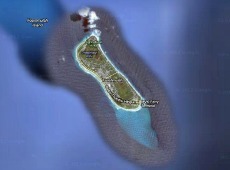 “Kan’dholhudhoo is our motherland, however, the whole island was fully damaged [in the tsunami]. Four years after our community was split and living on different islands in Raa Atoll – Alifushi, Ungoofaru, Meedhoo, Maduvvari – or in Male’,” Ahmed explained. The International Federation of Red Cross and Red Crescent Societies (IFRC) – in partnership with other nation-state donors – provided temporary shelter and food for the internally displaced in the aftermath of the tsunami, Ahmed continued. In 2008, the bulk of Kan’dholhudhoo’s nearly 4,000 community members were eventually relocated to Dhuvaafaru Island. However, administratively the community remains under Kan’dholhudhoo, which poses a problem for voting, explained Ahmed. The IFRC transformed the previously uninhabited island with the construction of 600 new houses, office buildings, a health centre, playgrounds, roads, and a garbage area, Ahmed added. Unfortunately the government’s lack of community consultations, inadequate infrastructure development, and political opposition leading to local “administrative problems” has greatly degraded quality of life for the Kan’dholhudhoo community, lamented Ahmed. He explained that the combination of too few island-level civil servants – the government mandates one per every 500 people, but only four represent Kan’dholhudhoo – and the stanch allegiance of island office employees to former president Maumoon Abdul Gayoom created huge development-related problems and a lack of basic services. “Maumoon’s people were working in the island office and they still supported him,” said Ahmed. He claims that the island office staff requested too few homes from the IFRC after the tsunami. Currently 75 families still need homes, according to Ahmed. He explained the homes which have been constructed were meant to house a single six person family in a 2000 square foot area with three bedrooms and two bathrooms. “Instead, three or four families are living in one house. Many people are not coming back because they have no place to live, or because the living conditions are so uncomfortable,” Ahmed said. “The constitution should provide one area of land per family, but this has not happened for our community,” he added. Overcrowding due to the lack of adequate housing has caused a variety of societal problems, including property disputes, rising divorce rates, and children “don’t learn the responsibilities of how to live… additionally they see what’s happening to the community. Disputes are increasing,” said Ahmed. Many of the homes were constructed near a “pond area” on the island, explained Ahmed. Although a pipeline has since been built to supply safe drinking water to the 40 families living in the area, given the overcrowding problem the water supplied is not sufficient. Thus, “a lot” of well water continues to be used. Ahmed further explained that there is a waste management shortfall also posing a serious threat to community’s health. “The garbage [problem] is terrible here. A garbage area was made but we cannot use it because there is not enough budget. So islanders have been dumping waste in the beach area, which is now full, so garbage is all over the road blocking vehicles from driving,” Ahmed said. “There are also diseases spreading, such as viral fever, as well as mosquitoes and flies. And there are people living nearby this [garbage] area,” he added. Despite these human health threats, Dhuvaafaru still lacks medicine and adequate medical facilities. “There is no pharmacy or medicine [available]. We tried to establish one, but it is still not open,” said Ahmed. “We have a health centre but it is without medicine. It lacks basic necessities and cannot even perform blood tests or give injections. 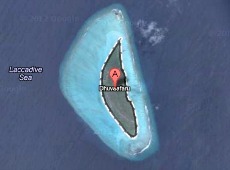 We have to go to Ungoofaru [for medical treatment] which is 10 or 15 minutes away by speedboat,” he added. Education and economic opportunities are also very limited, according to Ahmed. “I am reluctant to say this, but the community is not very aware. Educated community [members] are very rare and if anyone is educated they will move to some other island because they want their children to have a quality education and standard of living,” Ahmed said. “The community’s living standard is very dependent on the fishing industry. There are no administrative jobs, so fishing is the only way to make a living,” he continued. “Day by day things get worse and worse,” he lamented. Successive government administrations have failed to address the development problems and threats to the Dhuvaafaru community. “Maumoon provided us no choices. We informed the government [of these issues], but nothing changed,” said Ahmed. Although former President Mohamed Nasheed’s administration provided the community with sandbags to thwart coastal erosion, “now the erosion has spread to another side” of the island and the ongoing development problems went unresolved, he continued. The island office was controlled by the former opposition who did not cooperate with Nasheed’s administration to improve quality of life for the Dhuvaafaru community, claims Ahmed. “We informed the coup government, but they don’t listen. [President Mohamed] Waheed makes many promises, but has taken no action,” he added. Regarding whether island relocation and “population consolidation” are beneficial for island communities, Ahmed believes that if the government will actually provide the proper infrastructure for communities then the policy would be beneficial. “I think most people would follow that, especially the younger generation. If there are good facilities I’ll go there for sure,” Ahmed declared. “I’m happy now because everything is new [on Dhuvaafaru], but when I enter the house I want to leave immediately [due to the overcrowding],” he added. In March 2012, the Anti-Corruption Commission (ACC) sent a corruption case involving MVR 24 million (US$1.55 million) to the Prosecutor General’s Office concerning the Disaster Management Centre and a housing project carried out on Gan in Laamu Atoll, following damage suffered in the 2004 tsunami. The Maldivian government is obligated under national and international law to guarantee the human rights and protections enshrined in the International Covenant on Civil and Political Rights (ICCPR) and International Covenant on Economic, Social and Cultural Rights (ICESCR), which include access to adequate housing, water, healthcare, and political participation. The government says it remains committed to pursuing the previous administration’s carbon neutral ambitions despite recent political tensions reportedly affecting investment potential for such schemes. Environment Minister Dr Mariyam Shakeela contended that some of the programs presently being undertaken by her ministry had started seven years previously – before Former President Mohamed Nasheed came to power – and were being adhered to on the grounds they would benefit the nation. Nasheed, who alleges he was forced to resign under duress back in February of this year, claimed that resulting political tensions from his ouster had all but ended hopes of achieving these aims. The former president aimed to position himself globally as a high profile advocate for pursuing carbon neutral developments. However, as the Maldives commits itself to a new US$138 million project that it has claimed within five years will generate 16 megawatts of renewable energy, one regional environmental organisation has called for greater collaboration between Indian Ocean nations to drive sustainability. Mumbai-based NGO, the Centre for Environmental Research and Education (CERE) has told Minivan News that despite being a small island state, the Maldives stood as a good indicator of how other larger nations could scale up its programs to successfully undertake green initiatives. “Maldives needs to assume a bigger role in the sustainability dialogue with India and a clear road map on how this will be achieved has to be stipulated,” CERE stated, pointing to the key commitments it hoped to see from the present government. The comments were made as the Maldives Energy Authority yesterday told local media that once the US$138 million project became operational, ten islands within the country would be entirely powered with renewable energy. The ministry contended that a further 30 percent of the total energy demands of 30 islands would be “converted” to renewable energy. Minister of State for Environment and Energy, Abdul Matheen Mohamed, said that a so-called Sustainable Renewable Energy Project (SREP) was also set to be conducted on 50 islands with assistance from organisations like the Climate Investment Fund as part of wider national sustainability commitments, according to Haveeru. Environment Minister Dr Shakeela confirmed to Minivan News today that the SREP scheme was directly related to the the Scaling-Up Renewable Energy Program in Low Income Countries devised under the previous government of former President Nasheed. Some of the key minds who helped devise the Scaling-Up Renewable Energy Program (SREP) for the former government said earlier this year that the project had fallen through after political instability following February’s controversial transfer of power had deterred potential investors in the scheme. Dr Shakeela, who was in Hyderabad, India, for the 11th Convention on Biological Diversity confirmed that the project had been within the Economic Ministry before she retrieved and reviewed the plans. “I worked on it with the World Bank, the Asian Development Bank and the IFC and it has now been finished,” she said. As well as committing to trying meet the carbon neutral goals of his predecessor, President Waheed has also announced plans to make the Maldives the world’s largest marine reserve within the next five years five. Addressing the Maldives’ ongoing eco-commitments, CERE claimed that the main challenge for carbon reduction developments both in the country and around the world was to show sustainability projects could actually be synonymous with economic benefit. CERE Co-Founder Kitayun (Katy) Rustom claimed that the organisation continued to try and advocate green strategies that defied traditional perceptions of sustainability being seen as ‘anti-development’ or ‘anti-growth’. “It is necessary for all of countries to realise that our window of opportunity for carbon reduction is only till 2020 – after this it will be next to impossible to mitigate the disastrous and irreversible impacts of climate change,” she claimed. Rustom said that the Maldives’ ongoing attempts to become a carbon neutral economy were well publicised in India and reflected a “commonality of purpose” between the two nations. “India is one of the most vulnerable to climate change especially with respect to sea level rise – just like the Maldives – since it has a 7,500 km long coastline and even a one metre rise in sea levels will submerge an estimated 5,700 square kilometres displacing millions of people,” she added. Rustom added that she ultimately hoped for much more defined collaborations between the authorities of Indian Ocean nations in future. “A cross-sharing of carbon reduction strategies need to be encouraged and formalised in which quantitative targets need to be spelt out. The Maldives needs to assume a bigger role in the sustainability dialogue with India and a clear road map on how this will be achieved has to be stipulated,” she said. Earlier this year, former President Nasheed’s Climate Change Advisor – UK-based author, journalist and environmental activist Mark Lynas – said that after the controversial nature of the transfer that bought the present government to power, he was sceptical of its ability to take stands on sustainable development. Lynas claimed that the loss of “democratic legitimacy” in the Maldives had destroyed its ability to make a moral stand on climate change-related issues, and be taken seriously. “I think that the Maldives is basically a has-been in international climate circles now,” said Lynas, who drew a monthly stipend of Rf10,000 (US$648) for expenses whilst serving in his position. “The country is no longer a key player, and is no longer on the invite list to the meetings that matter. Partly this is a reflection of the political instability – other countries no longer have a negotiating partner that they know and understand,” he said.